The appointment will be effective Feb. 18, bringing to six the number of members on the central bank’s policy making governing council. Beaudry, who holds a Ph.D. in economics from Princeton University, specializes in business cycles, inflation and other macroeconomic issues, according to his faculty page on UBC’s website. 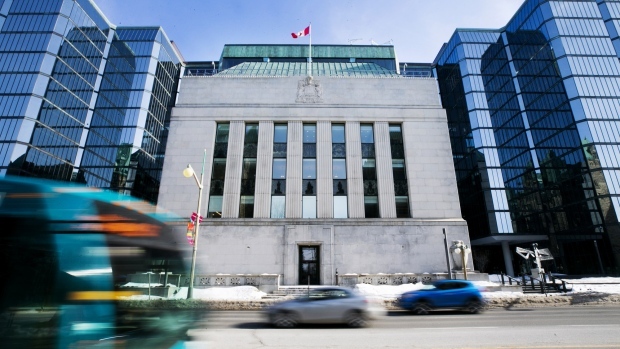 The appointment comes at a crucial time, with the Bank of Canada in the middle of a rate normalization process that has seen it raise borrowing costs five times already since the middle of last year. Beaudry will be absent for the next two rate decisions -- including one Wednesday. Investors are placing two-thirds odds the central bank will have raised borrowing costs at least once more before Beaudry’s first decision in March. The economist, who was born in Montreal and also holds a bachelor’s degree from Laval University in Quebec City, has been a visiting scholar and researcher at the Bank of Canada, the National Bureau of Economic Research and the Federal Reserve Bank of San Francisco, according to the Bank of Canada statement. He was also a member of the C.D. Howe Institute’s shadow monetary policy council between late 2014 and mid-2016, which provides recommendations ahead of rate decisions of what policy the Bank of Canada should follow. Voting records for the council in 2016 show Beaudry recommended the central bank keep interest rates unchanged at 0.5 per cent over the ensuing 12-month period, according to a spokeswoman at C.D. Howe. In November 2014, he recommended the central bank keep rates unchanged at 1 per cent. The bank subsequently cut rates in January 2015. In February 2015, Beaudry recommended the Bank of Canada keep rates unchanged at 0.75 per cent over 6 months, but raise them to 1 per cent over 12 months. The Bank of Canada instead cut rates to 0.5 per cent and kept them there until 2017.